When you understand the change factors in your commercial property market, you can win the new business efficiently and find the right segments of the property market to work within. Everything works to a plan, and that should be the basis of your real estate business. Develop your plan and act every day. Refine your processes over time, as you watch the things that working for you and the challenges that exist for your clients and prospects. Relevance is important when it comes to converting and winning new business as a real estate agent or broker. So, you need a plan of attack and an efficient way of handling change. You can learn a lot from watching other people in the marketplace; identify the best brokers and agents locally, and watch what they do when it comes to prospecting, inspecting, and marketing. You can avoid the mistakes of others, and you can refine your actions and reactions so that you grow your commercial real estate market place quickly and efficiently for the time. The actions of others will help you fast track your career as a broker or agent. TERRITORY COVERAGE: Establish a client contact model across your territory and within the property type groupings. A specific approach is required. Get to know on a street by street basis just who owns each building; focus your prospecting efforts on the people that own the assets. 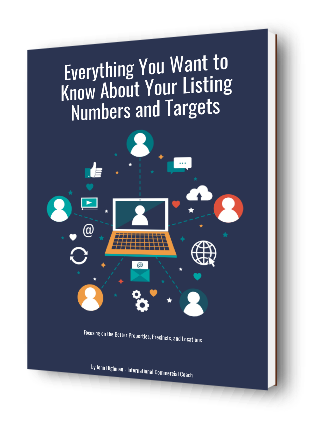 LISTING CONTROL: Understand the importance of exclusivity in the marketing process with all your brokerage listings. When you control the listing stock, you control the enquiry, the inspections, and the negotiations; ultimately that puts you in control when it comes to helping and assisting your client with their property challenge. In every listing pitch, sell the importance of exclusivity as part of the listing process. Show the client exactly why exclusivity is required to reach out to the target market in an efficient way. Tell the client how you will control the enquiry, the inspections, and the negotiations from a base of exclusivity. Ultimately, this means that you should walk away from any request to take on an open listing. CONTACT MARKETING: Develop a model of local area marketing and communication across your territory, property types, and client base. Every listing and qualified enquiry can be directed into your database of contacts and supported by your local area canvassing process. Work the local area, the local clients, and the local properties. Most of the enquiries and the transactions that you create will come from the local area. Consolidate your marketing processes locally at every opportunity. CLIENT AND PROSPECT LIST: Understand the value of your database to the new business opportunities that you require individually as a broker or agent. Choose a database software program that provides you with the appropriate levels of flexibility and data manipulation. That database should be integrating into and across all your call contact processes, listing marketing, mail out programs, and meeting opportunities. Capture the information every meeting and conversation where future opportunities are identified. REPEAT AND REFERRAL OPPORTUNITIES: Ask for referral business at the right time and in the right way. The people that you know now can introduce you to others that may have an interest in commercial real estate sales, leasing, or property management. Ask the questions politely and professionally. It is relatively easy to convert new business opportunity from referral introductions. LISTING MARKETING COVERAGE: Understand the value of the Internet to you at a personal marketing level as you strive to improve your marketing presence and the levels of listing enquiry. Every listing should be promoted online with due regard to the target market, the attributes of the property, and the location. 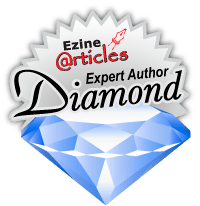 ONLINE MARKETING PERSONALLY: Promote yourself directly and efficiently online through a series of editorials, articles, and blog processes. Tell your real estate stories through creative online marketing. Let the search engines see you and the ideas you promote. The internet does not just have to be all about listings; promote yourself and your skills. Use the social media channels to do that efficiently and regularly. There are always ways to improve brokerage results over time. Control your clients, listing stock, and negotiations. Most of the results that you achieve in commercial real estate will be through personal effort and personal organisation; you cannot delegate those things.